stackoverflow.com is now https://. I've written up a lot of what it took to get here in a blog post. Next up is chat and then https-only cookies. We'll be ramping up HSTS max-age directives as we go. I'll continue to update this post as we deploy new bits. We've redirected all child meta traffic from meta. 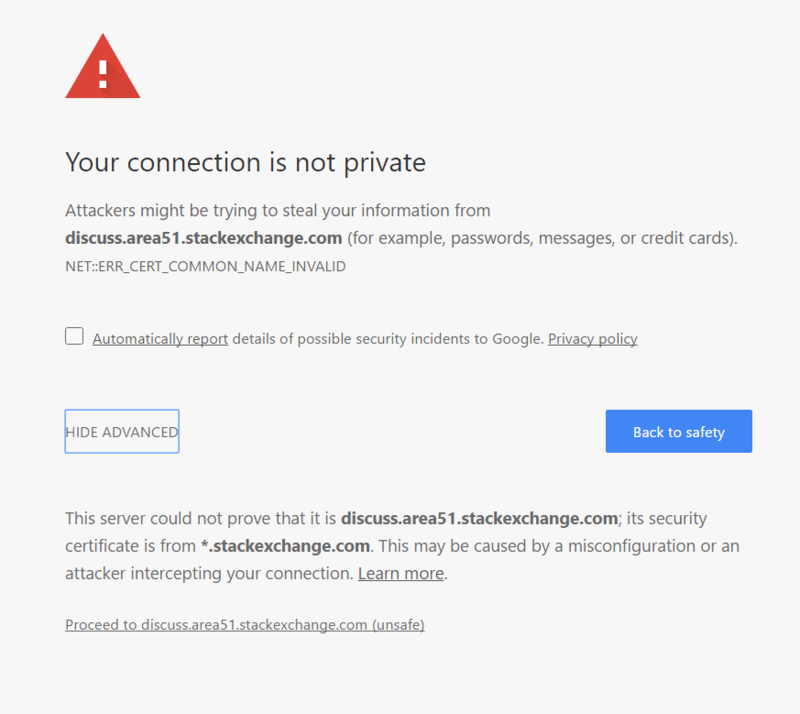 *.stackexchange.com to *.meta.stackexchange.com, and are now forcing HTTPS. 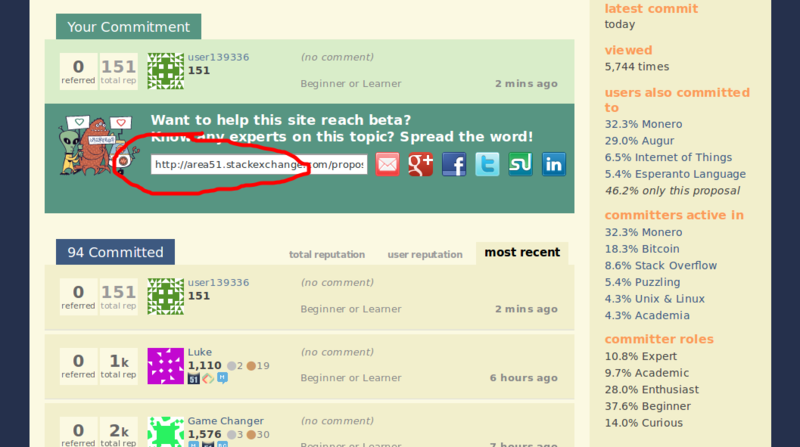 We have also rebaked links inside the network (except comments) to point to the new domains and protocol. We'll get to comments at the end. We are pausing further migrations while we observe how google handles sites like Super User over the next week or so. I'll be back from vacation on March 27th and we plan to deploy Content-Security-Policy-Report-Only headers for reporting and proceed with full Q&A deployment across all main sites then. This is a heads up, and a request for help. Related: original post from our test site, Meta Stack Overflow. HTTPS for our entire network is long overdue, but we've been working hard on it behind the scenes. Expect a pretty big blog post when we turn it on everywhere that details the journey. Note: The tool does not currently support the following kinds of site moves: subdomain name changes, protocol changes (from HTTP to HTTPS), or path-only changes. So we'll have to create property sets for every single site during the move to HTTPS. Fun! We're starting with meta.stackoverflow.com and meta.stackexchange.com. done Fix a ton of code that assumes http:// in a million places. done Prevent users from embedding new http:// content (e.g. forcing HTTPS images). done Cleanup all existing user content that was http:// (https:// where possible, and converted to links if we can't embed it securely). done Make sites render absolute URLs as https://. done Move canonical URLs to https://. done 301 Traffic to https:// for all. done (Child metas) Move from meta. 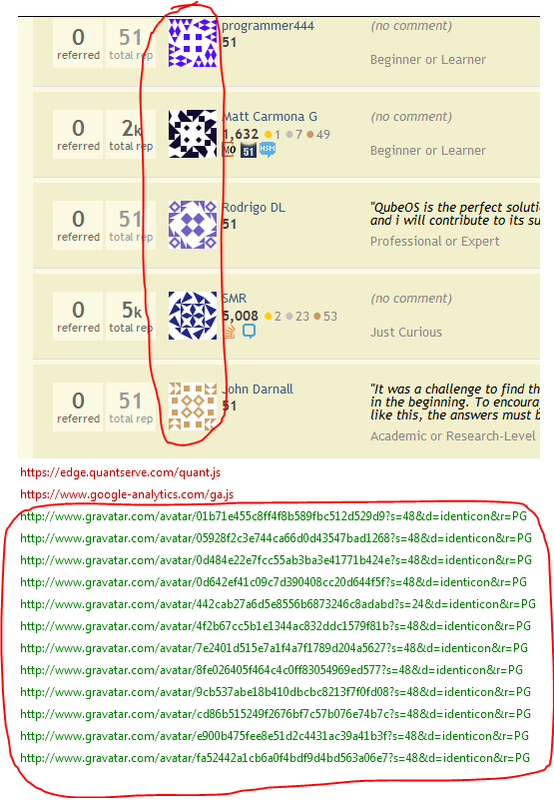 *.stackexchange.com to *.meta.stackexchange.com. Migrate all existing sessions to secure sessions (this will take time to run). Use HSTS to ensure browsers don't hit Q&A sites via http:// at all. This is a really high level list, and there are a crazy number of nuances and edge cases to the above. This is for Q&A. 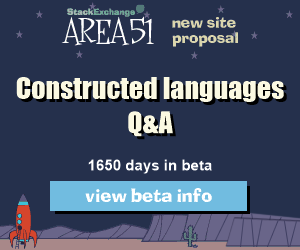 Area 51, Chat, and stackexchange.com (the main site) have a separate set of concerns and code we'll address after Q&A. The list also isn't necessarily in order. While we're testing #6, Samo and I will be working on #11 at the same time. We want your help simply reporting any issues with insecure content on https:// or any other oddities you see. We'll try to address them as soon as possible. Since we get asked this a lot, yes - I'll write an exhaustive blog post about everything we hit along the way when we're finished here. "This page is trying to load script from unauthenticated pages". 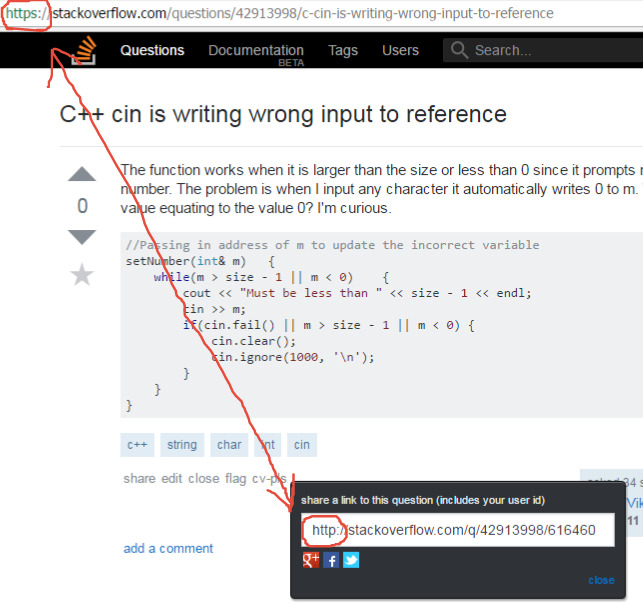 Mixed Content : The page at https://meta.stackoverflow.com/questions/345125/suggested-edit-queue-is-full?cb=1 was loaded over HTTPS, but attempted to connect to the insecure WebSocket endpoint ws://qa.sockets.stackexchange.com/. This request has been blocked; this endpoint must be available over WSS. …when HTTPS gets forced everywhere (step #10). The reason is that the HTTPS Everywhere ruleset for Stack Exchange currently contains a forced downgrade to HTTP for all subdomains that are two levels deep, such as *.meta.stackexchange.com. Somebody probably needs to send a pull request with a fix (I might do this myself if I've got time for it) and it might be a good idea to wait until the fixed rule is in HTTPS Everywhere before you initiate step #10. Edit: I dug trough the HTTPS Everywhere source a bit, and it does contain some logic to detect redirect loops; so, even with the downgrade rule in it, it should eventually give up and allow the HTTPS site to load. To clarify: If you go the Area 51 proposal page, and click 'share this', and copy the embedded ad, post that somewhere on the SE network, the image will not show - it'll be a link, but not an image, as seen above. If you edit the links in the ad to have https:// instead of http://, the image shows up. This appears to have been caused by 4.) on the list, because it's embedding an http:// link. Title for question is not parsed from URL in posts body (at least in preview) if you use https on link or on site where you trying to post. E.g. Link to post was acquired by share button for this question. In the Android app, I have Mi Yodeya Meta pinned in my list of sites, and since the switch from meta.judaism.stackexchange.com to judaism.meta.stackexchange.com it has changed to saying Unknown Site meta.judaism instead of saying Mi Yodeya Meta and when I click it the app crashes. Receiving the https:// error in the Help center - Privileges pages, those contains the images in it. Still the images are as http:// only. 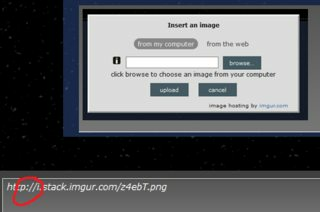 For an example, Create Wiki Posts page contains an image as http://i.stack.imgur.com/aXihi.gif, receiving the warning due to this. The edits by Community to change from meta. *.stackexchange.com to *.meta.stackexchange.com are sending all the closed posts that have meta links to the reopen queue because they've been edited. This seems silly since the post wasn't really improved at all. Please avoid extended discussions in comments. Would you like to automatically move this discussion to chat? This link is still HTTP (though you'll be redirected to HTTPS automatically, unless the room has been deleted in the meantime, in which case you get a strange 'Object moved' 404 error page). Oh, and if you get to fix this, it's only a minor effort to implement this feature request. Seems that protocol-inferred urls i.e. that begin with // have not been changed by Community ♦ user via auto-fix. But it wasn't. Using links from revision 4 leads to opening page with unsecure connection warning message. 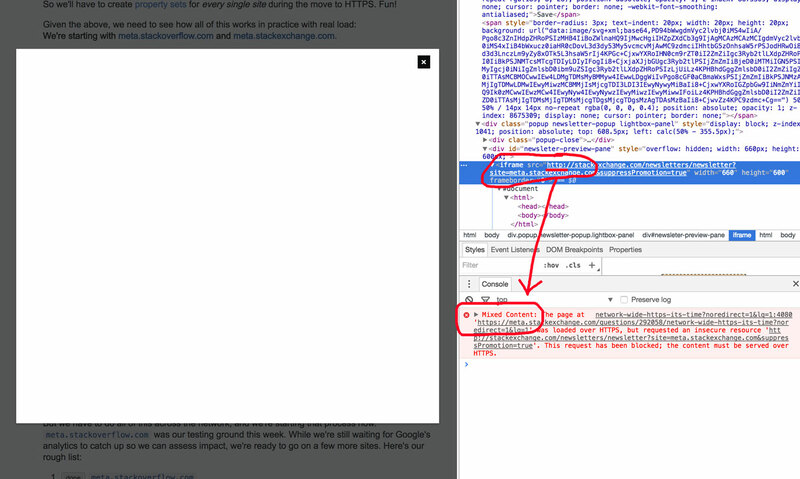 Urls with explicit protocol using were succesfully changed, you could see it e.g. here. When uploading an image in chat (SE), the link posted to chat is http instead of httpS. Tested on Opera and Firefox in private/incognito sessions, connecting to chat both through http and https. Shouldn't be a difficult fix. The total page views from the moderators dashboard in Meta does not show any data before Mar 16 2017, the day the switch to *.meta.stackexchange.com was done. On most stackexchange.com domains, you are automatically being redirected from HTTP to HTTPS. E.g. 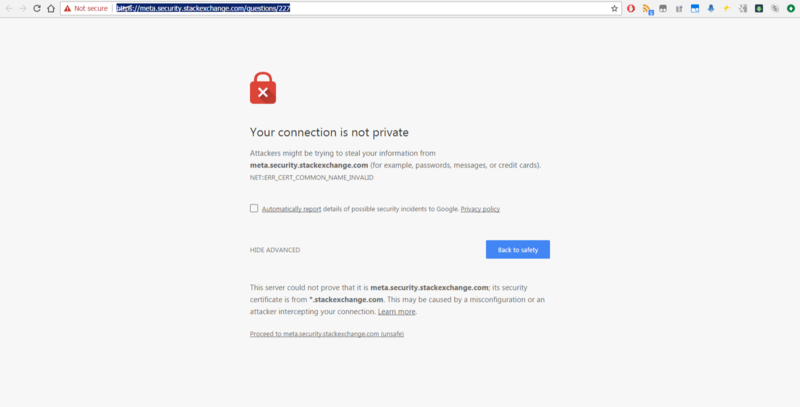 http://meta.stackexchange.com leads to https://meta.stackexchange.com. Are there any plans to change this, or is this status-bydesign? There's a ton of HTTP links that exist into the sites still (for example, Google links mostly go to HTTP, old browser bookmarks and autocompleted URLs, etc. ), meaning lots of people getting non-https share links. This will help reduce the load of HTTP → HTTPS conversions in posts. 7,938 posts have been created that have a link to stackoverflow.com in some form. 7,616 of those use HTTP and not HTTPS. That's a whopping 96% of new SO-link-containing posts that end up having HTTP links in them. To be clear, that's not to say that all of those are a result of share links. Those numbers are evidence that a lot of people are visiting via HTTP (because the links they post will either be share links or copy + pasted from their browser bar). But to me, it follows that share links should probably be converted. SO was used as an example, I presume the pattern is similar elsewhere. There is an old feature request about this here that should probably be revisited. To that end you probably also want to start serving redirects at some point from the HTTP pages to HTTPS. That'll take care of the "copy link from address bar" end of things, plus all the external HTTP links that you have no control over. Trying to access https://area51.meta.stackexchange.com/ gives an error. Shorthand links in comments, like [su], still resolve to http://, not https://. The ssl excerpt and wiki needs to be updated once TLS is supported (and the tag should probably be renamed from ssl to tls, but that's a different discussion). If you type something like [tag:foo] or [meta-tag:bar] into a post, you get something that looks like this and links to site.stackexchange.com/questions/tagged/foo or site.meta.stackexchange.com/questions/tagged/bar1, as appropriate. Based on a sampling of about ten communities, if you go to the main (non-meta) site, using https, and use the tag2 Markdown, you will get a link to the appropriate https questions/tagged/tag URL. As expected. In the communities that I tested, if you go to the meta site, using https, and use the meta-tag Markdown, you will get a link to the appropriate https://site.meta.stackexchange.com/questions/questions/tagged/tag URL. As expected. In many of the communities that I tested, if you go to the meta site, using https, and use the tag Markdown, you will get a link to http://site.stackexchange.com/questions/tagged/tag. This is wrong. All other communities that I tested — including Stack Overflow — got it wrong. 1 or meta.sitename.com/questions/tagged/bar, for those communities (Stack Overflow, Super User, Server Fault, Ask Ubuntu, etc.) not conforming to the site.stackexchange.com template. 2 non-meta sites don’t recognize the [meta-tag:tag] Markdown. In the Stack Exchange Privileges, some of the privilege page contains the other Stack Exchange post's link in it. Those links are still as http://, but when clicking on the links it will open as https://. It is not cause any issue, but updating those http:// links also will be uniformity with the links. As noted here on Area 51 Meta, OpenID login on Area 51 still goes through an insecure HTTP request (and breaks if that request is rewritten to use HTTPS, e.g. by HTTPS Everywhere). I've reported the latter issue to the HTTPS Everywhere devs, and they've added an exclusion for the problematic URL for now. But that does nothing to fix the real underlying issue with the insecure login URL. Will api.stackexchange.com continue to be available though HTTP? We have also rebaked links inside the network (except comments) to point to the new domains and protocol. I still see http:// links in Super User posts. E.g. in my question, Advertisement suddenly appearing on top of almost every page, the original http:// links (e.g. the http://superuser.com/a/832009/213663) are still http://. Unless I misinterpret the above statement. The total page views from the moderators dashboard in Meta StackOverflow in spanish does not show any data at all. Tested in this query for ruSO.meta. Not the answer you're looking for? Browse other questions tagged discussion ssl announcements . What is the meaning of Community response as revised and replaced? Why do some sites redirect to HTTPS but not others?